I was born and raised into a Roman Catholic family. Over the years I’ve found myself at odds with many of the church’s practices, procedures and dogma. As the years have rolled by my disenchantment with the church has lead me to investigate many different spiritual paths. Apparently many of my contemporaries have felt the same way as attendance in many of the world’s organized religions has steadily declined. In an article on THE HUFFINGTON POST by Author, speaker and Spiritual Teacher, Steve McSwain, dated Feb 29, 2013, points out 6 Questions Christians Should Start Asking Themselves. McSwain raises many intelligent questions about the interpretations of the Scriptures…questions about faith and belief…questions about the many different opinions between Christians themselves about what is correct, what is right. I recommend you read this article and the subsequent follow ups he did also on THE HUFFINGTON POST. Why? It takes me to a place I never thought I’d see in my lifetime and it quite possibly could lead you there as well. I find it an excellent prequel to my thoughts on the new Pope…his holiness Francis. 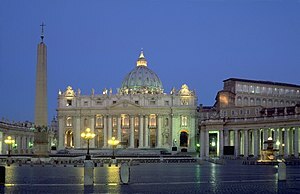 The new Pope, the father of the Church on Earth, the leader of millions of the faithful has made statements since his arrival, and particularly this past week, that truly opened my eyes and given me hope that the Roman Catholic Church can still be a productive positive influence…can still be part of a better world. Pope Francis has made it clear that mercy, inclusion and understanding have as great a place in the church’s teachings as do exclusion and judgement. Speaking from the Vatican this week Il Papa said, “Tell me when God looks at a gay person does he endorse the existence of this person with love, or reject and condemn this person? It is necessary to accompany them with mercy”. I was relieved and happy to hear that the Pontiff is moving away from the dogma of intolerance that has pervaded the church’s teachings for to many years. If God, and Jesus, and all the Saints, truly love ALL of their earthly children, how can the Church single out people born with a different orientation than the majority as objects of scorn? Doesn’t it follow that God, who created these children, loves these children as well? Did he create them to reject and abuse them? I think not. Thank you Pope Francis for attempting to nudge the Church along into the 21st Century. One the issues of gay marriage, abortion and birth control, the Pope made another set of surprising remarks. “We cannot insist on issues related to abortion, gay marriage and the use of contraceptive methods…the teaching of the Church is clear, but its not necessary to talk about these issues all the time.” I am interpreting this to mean that the Pope does not feel that these issues should not be constantly paraded and used as divisive tactics amongst the faithful. Maybe the Church is thinking it is time for a more open approach to these matters and not rely on the heavy handed decrees of years gone by? On the place of women in the church he said, “Women are asking deep questions that must be addressed”. He added,” The feminine genius is needed wherever we make important decisions.” I cannot remember a Pope making such a clear and progressive pronouncement about the role of women in the present day Church. An excellent and most necessary step forward. Lastly Pope Francis discussed enforcing Catholic doctrine a key and hotly debated issue over the last 20 years. “Those who always look for disciplinarian solutions…those who long for an exaggerated doctrinal security, those who stubbornly try to recover a past that no longer exists-they have a static and inward directed view of things.” This Pope is a forward thinking man. This Pope in my humble opinion has the necessary mindset to move the Church forward in this century. This Pope has the spiritual tools to do great things. I wish him every success. May he have the strength and fortitude to carry this heavy burden forward. The Roman Catholic Church has been wracked by scandal and dissent. It has been pulled apart by an unwillingness to move forward into a complicated and sometimes confusing future. Maybe this simple man with the huge heart can heal some of the wounds and create a new atmosphere of welcome..and hopefully a new era for the Church. This entry was posted in Bio, Religion and tagged Catholic, Catholic Church, Catholicism, Christian, God, Pope, Pope Francis, Vatican. Bookmark the permalink. Could allowing priests to marry be in the near future? Maybe that would be a solution to the sexual problems the Church has been faced with for years. I don’t think the Church will make any appreciable changes to rules and procedures in the near future. It’s not how they operate. Everything takes forever but I do see change coming down the road. American Catholics tend to be the most progressive in the world and I think they will have a big hand in what goes on from here. It was amazing that the new Pope was verbalizing things that people were thinking about for years. Rome has never even acknowledged the possibility of change/compromise on some of these issues. I think it’s a great big step forward. Great article Joe! We also have had to walk away from the R.C. Church and find a new church home because we came to a point where we just couldn’t accept their dogmas anymore. But this Pope may actually be the stimulus for a very needed grouping of changes —at least he may be able to turn some things around. In many ways I have felt as though I have left the church behind in my private life. Do I hope they can continue to bring joy and happiness to the faithful? Sure I do. Do I hope they can continue to ease suffering everywhere they find it? Of course I do. But for me personally…I have no need for the sense of community that many people desire. I do not need to sit in a large building on Sundays reciting ancient texts and verses to reinforce my faith. I believe Jesus’ teachings to be the a correct and wise path to follow for a good and righteous life. I also believe that Buddha, Mohammed and Moses also laid down the guidelines for a better world. Let us all endeavour to live a life filled with compassion and simple LOVE for our fellow beings…and for Mother Earth upon which we live. Hopefully Pope Francis can help us all along that path. Terrific article Joe. It’s time that the Catholic Church dispense with the old fashioned dogma and, as you said, know that God loves all of us. This can only be accomplished with the relaxing of many of the man-made rules that have been tacked on to a misinterpreted Holy Bible. Pope Francis is a breath of fresh air for a religion that was stagnating in its self-created miasma of guilt and blame. Hallelujah! I agree with everyone above: Great blog post, Joe. “Startling and hopeful” — you sure pinned it down. I, like just about every other Italian-American, was raised in the Catholic Church. But I started questioning the church when I was 10 years old, finding its rules to be nonsensical and being personally offended when I learned my father had been ex-communicated when he divorced his first wife. His first wife had died at that time, and my parents were then allowed to marry in the church. I didn’t get the “technicality” that made it OK once she died, since it didn’t change the fact that he was divorced from her. The church, to me, has so little to do with Jesus’ real teachings, that while these recent pronouncements are encouraging for the faithful or the wayward faithful, they hardly make up for the church’s misdeeds, which are plentiful and varied. I know my words are strong, and I hope I don’t offend anybody above, but this is what I believe. I recently read “Zealot: The Life and Times of Jesus of Nazareth”, by Professor Reza Aslan, and I recommend it to everyone, if you’re interested in a truthful account of Jesus and the times. It merely confirmed for me that the Bible, the New Testament in particular, has virtually nothing to do with what really happened 2,000 years ago. And Jesus would abhor the Catholic Church today for its unbridled wealth, intolerance, discrimination against a multitude of people (e.g., women, gays, non-Catholics), interference in politics, etc., etc. Its participation in and handling of the pedophilia cases, to me as a lawyer, should make it subject to and liable under racketeering laws. Covering up crimes, hiding money to protect the church’s riches (which NY Archbishop Timothy Dolan did, how can any NY Catholic support him? ), calling victims liars, financially supporting the priests who engaged in these crimes — how do you think the victims feel about the holiness of the church? How can any Catholic turn a blind eye to these criminal acts? We cannot let these misdeeds go unpunished. Others don’t get away with it. But the church has. WWJT? Even if the church were to adopt some official policy on the issues Francis raised last week, the church would have a long way to go before it got close to being a faithful representative of Jesus’ teachings. But certainly, Catholics and everyone else should be hopeful. I’d like to see it give up its riches, especially the largest, most extensive art collection in the world, its real estate holdings (that enjoy tax-exempt status in most countries, even though that has nothing to do with religion; although I note that Italy ended tax-exempt status on the church for such holdings, just last year), I’d like the church to get out of the business of employing people and running schools if they refuse to adhere to the laws of our secular country that apply to all employers and schools. No preferential treatment, especially to an entity that is so undeserving (in my mind). I guess my list of grievances against the church is endless. Unfortunately, it played a very strong part in my becoming atheist, and I doubt I’ll be changing my religious orientation any time soon. Just so that anyone who reads this doesn’t think I’m a complete lunatic, let me state that I believe Jesus lived, and I try to follow his words and deeds, but I don’t believe he was the son of God (neither did he). I guess the most simple way to describe my faith: I believe in science. You’re not a lunatic…you’re just a person with strong views on the Church and believe me….you’re not alone! I didn’t want to get into all of the alleged crimes against children and all that… but you are correct. Still all in all…I was amazed that this Pope seems to be a reasonable thinking man, doing what he can to turn the mission of the Church from a punitive old man to a progressive young woman. Let’s see what happens next! Very good topic, very well written. This Pope could be a game-changer. Inclusion wins! It would be immensely gratifying to see this Pope take the proverbial ball and run with it, as fast and as long as he can!